On Saturday morning I had a Novation Launchpad delivered, and spent a good chunk of the rest of the weekend trying to figure out how to make use of it. 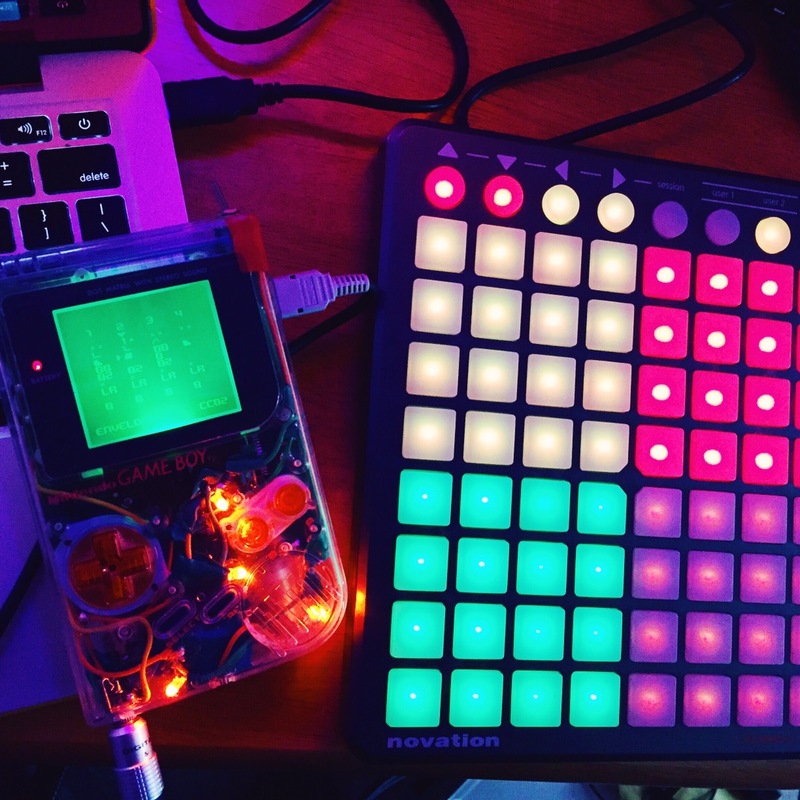 I could easily get it to act as a MIDI input device for the Gameboy (which is sweet), but I really wanted to use it as it was primarily intended: to load up a bunch of chip loops and trigger them live as a sequencer. After much swearing and frustration, I finally managed to get the loops synched up and laid out for one of the most recent tracks I’ve written. I just need to plug the Launchpad in, and I can play the whole song with the pads – triggering different combinations of sequences from about 1 to 4 bars long. Much like a lot of the stuff I’ve been playing with lately, I wasn’t really sure why I was doing it in the first place; there was no real end game. I just wanted to see if I could do it. Being able to play with and manipulate songs/sounds that you’ve created on a tiny Gameboy screen in a more ‘live’ or dynamic fashion is pretty cool. Now that I’ve managed to clear the biggest hurdle of getting it to work, it’s gotten me thinking. Theoretically I could now play a lot of my chiptune tracks live without just hitting ‘play’ on LSDJ – but I don’t think that would really be all that big of a draw in Glasgow. However, it does mean that I could set up chains of melodies, stick them into Ableton and then play them live as more of an instrument, as part of some kind of band setup. I’d just need to find some folk willing to play guitar and potentially drums in a weird quasi grunge electronic band.